I’ve stopped posting outfit of the days, well to be honest, I never really got started. There are so many great bloggers out there with amazing figures and wonderful capsule wardrobes who can take beautifully styled editoral-esque photos that I just wouldn’t be able to compete with. Then I remembered, this is my space on the internet where I can do whatever the hell I want so Ishouldn’t worry about comparisons. Today I went to a friend’s brother’s wedding. It was a really lovely affair, very relaxed and a great catch up with old friends from uni. 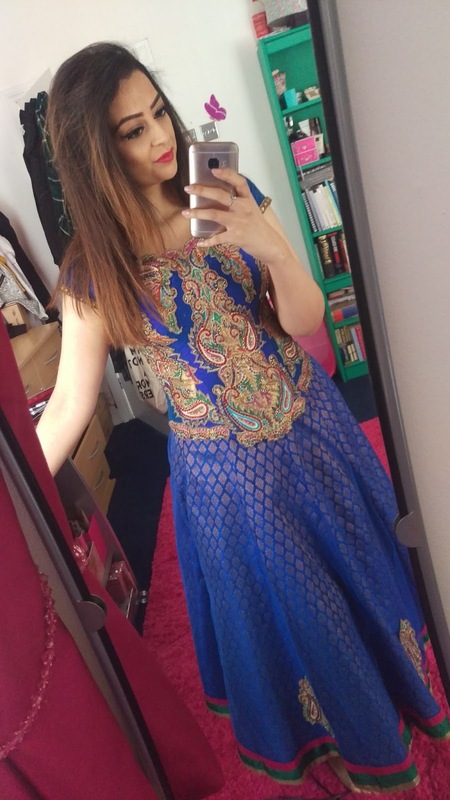 My friend had asked that we wear blue and so, considering I only have one blue Indian outfit, it wasn’t too difficult deciding what to wear. I originally had this made for a cousin’s wedding a few years ago and as soon as I got it out of my wardrobe, I fell in love with it all over again. 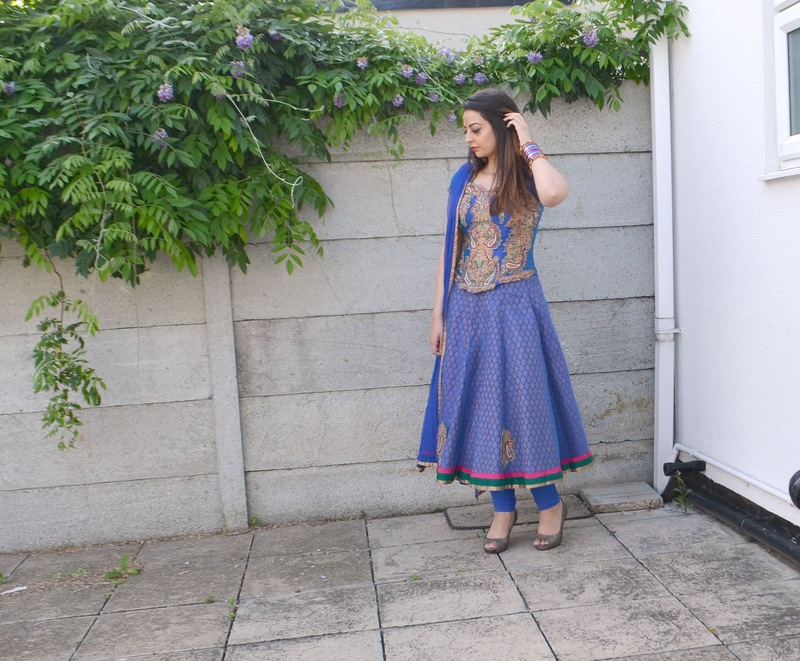 The outfit is a three piece Indian suit consisting of a corset, a skirt and some trousers. 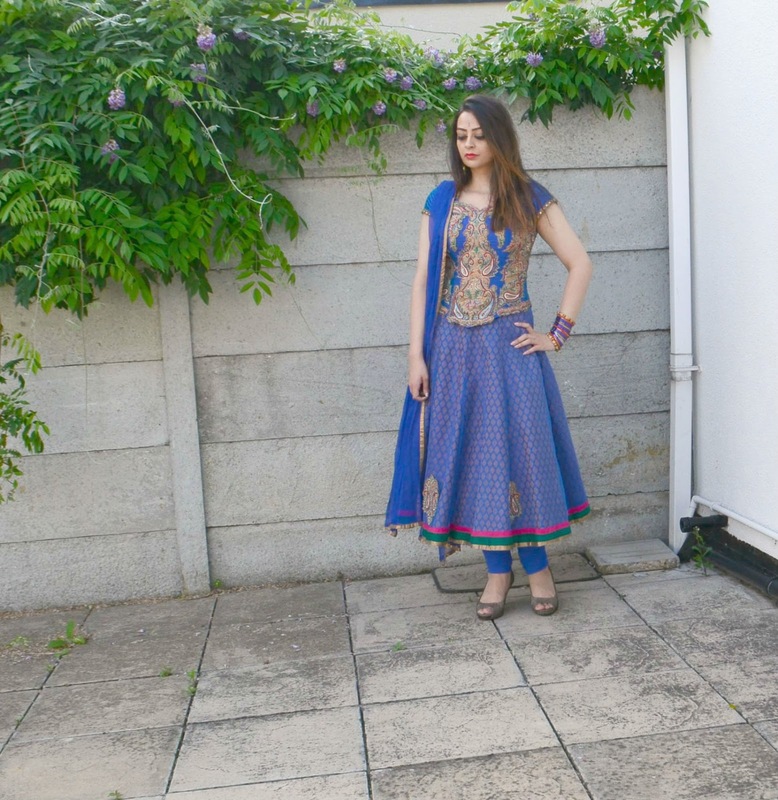 I love the classic gold work on the top and the brocade fabric and vibrant colour make the regal outfit come together.